An exclusive suburban area with many large three and four bedroom houses for rent on large properties, as well as small one bedroon apartments and condos. 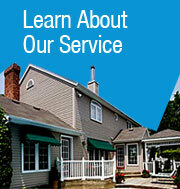 North Bergen County apartments for rent are more difficult to find due to the suburban nature of the area. Away from the hustle and bustle of the rest of Bergen County it stays convenient with easy access to the Garden State Parkway, the Palisades Parkway and Route 9W. Long winding back roads keep the area quiet and contained. Nestled among the many country clubs is a county golf course in the town of Rockleigh. The area hosts two train stations for the Pascack Valley Line.